Cabinets, apart from stoves and ovens are the backbone of any kitchen. However, putting things in cabinets in a haphazard manner by stacking them against the walls does not create an aesthetically appealing image. Not to mention the fact that it also cramps available space and makes your kitchen looks smaller and more claustrophobic than it may actually be. That is why selling a cabinet sales and installation company can require a buyer with both experience and an eye for detail. These ‘true blue’ kitchen cabinet professionals should know just how to plan a kitchen based on its own requirements regarding its overall size and floor plan. Not only should the company be well versed in understanding the myriad different layouts and looks that would go well with your kitchen but they should also have an intimate knowledge of the ambient climate throughout the state of Florida. This will ensure that they will not install components that tend to expand or rust in damp areas. As a matter of fact, this is a very real problem all over Florida because such damp conditions cause wood to warp and iron catchers and handles to rust, thereby jamming the cabinets repeatedly while also simultaneously marring the overall fit and finish. A highly professional kitchen remodeling company would know just how to configure the cabinets in your kitchen so as to make the best possible use of your space. As a rule, the base cabinets (the ones closer to the floor) tend to have the most attention showered on them since they are used more often during day to day activities. Hanging cabinets on the other hand are typically used to store utensils and spices and other assorted items that are not commonly used all that much. Nevertheless, these cabinets give both depth and variety, not to mention a high degree of aesthetic appeal to the whole kitchen area. Especially, if the remodeling company uses bronze glass and internal lights to give a touch of austere elegance to your kitchen. If done right, your kitchen’s interior design may be so sophisticated that it just might end up having the same appeal as your living and dining rooms. Most cabinet companies in Florida are now shifting from larger door configurations to smaller drawer ones. This is because drawers are not only more comfortable to operate on a daily basis, they also allow greater compartmentalization and thereby help prevent clutter in your kitchen. This is why opting for more drawers rather than door based cupboards is not only more aesthetically appealing but also makes sound ergonomic sense as well, since drawers that slide on their rollers are far easier to open than doors that may get stuck due to warping. Add to that the fact that, there is no need to bend or squat and probe through multiple layers of clutter to obtain your desired object. 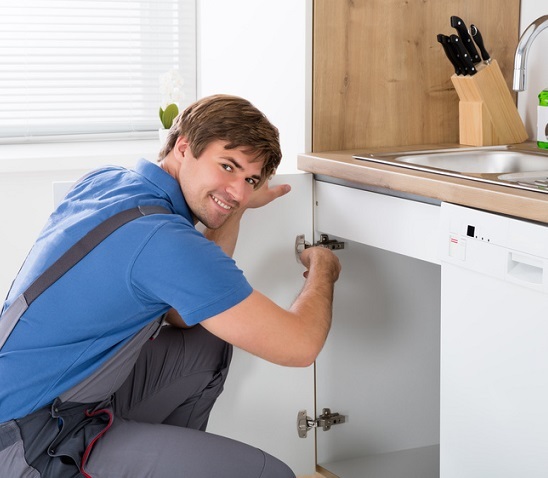 Whichever way you look at it, buying or selling a cabinet company in Florida requires an owner who has a knack for kitchen remodeling a can understand the requirements for and consumer remodeling needs.